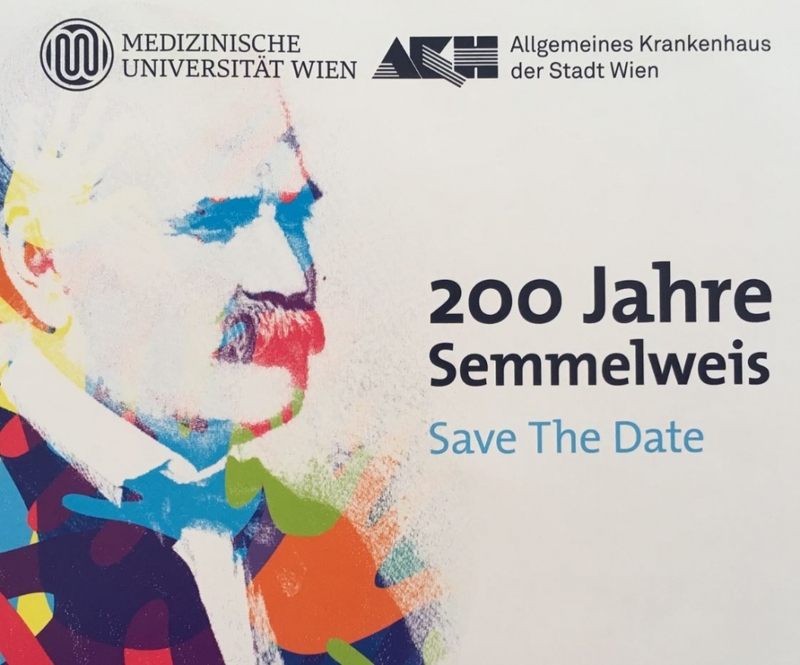 On Thursday, 21st of June we will celebrate the 200th birthday of Ignaz Semmelweis – an event initiated by the Semmelweis Foundation and organised together with the Medicine University Vienna and the General Hospital Vienna. We would like to take this opportunity to present the symposium-program to you! At 13 p.m. Markus Müller and Agoston Szél, the rectors of the two medicine universities (Vienna & Budapest), will speak some introductory words. This is followed by a film presentation “200 years Semmelweis” – A movie, partially filmed in Budapest; among the interview partners: Tivadar Hüttl, great-great-grandson of Ignaz Semmelweis, who will hold his lecture directly after the film presentation. At 13.45 Dr. Manfred Rotter will introduce Didier Pittet, who will hold his keynote about Ignaz Semmelweis – his impact on the current millennium. Afterwards some of the leading Austrian hospital hygiene experts will speak about hospital hygiene and infection control in the 21st century (Elisabeth Presterl), hand hygiene: from the workbench to the patient (Ojan Assadian) and hygiene & precisian medicine (Magda Diab-El Schahawi). The panel discussion will be at 16.35. The discussants: Political scientist Anna Durnova, pilot and safety expert Hans Härting, anesthesist and intensive care specialist Klaus Markstaller, as well as Didier Pittet and Markus Müller. A resume of the event will given by Bernhard Küenburg, president of the Semmelweis Foundation.